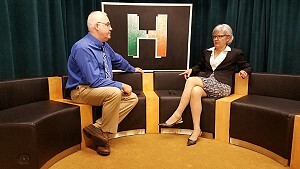 This brand new HCAM series, hosted by Superintendent Dr. Cathy MacLeod keep you up-to-date and informed on events and interviews those who work in the Hopkinton Public Schools. New episodes air monthly. This show features segments focusing on special events, bringing you behind the scenes at the HPS, and sharing stories and information on those who work educating the students of our community. If you would like to ask a question for our MailBag segment, or have a comment on an episode, send an e-mail to cmacleod@hopkinton.k12.ma.us.